I recently made a shaker card, seen here, and my friend loved it so much I made her one in her favourite colour, Coastal Cabana. The challenge brief over at Just Add Ink is Just Add Chipboard and I used one of the little wood elements from the Project Life Everyday Collection Accessories Pack. 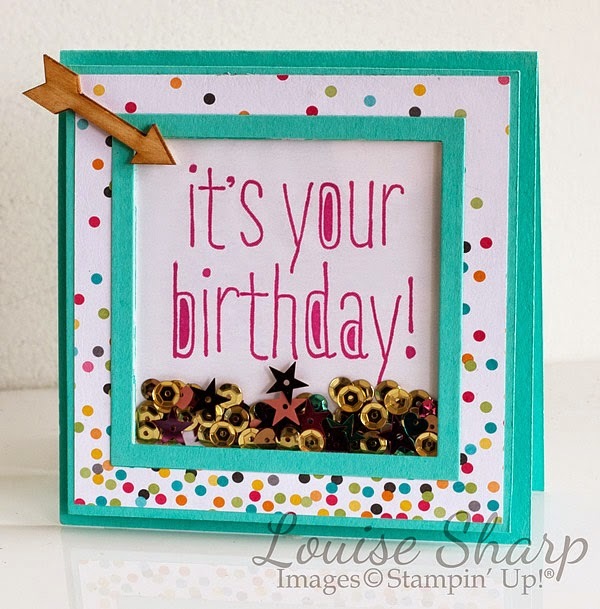 The sequins are so pretty in your gorgeous shaker card Lou. Totally amazing! But I said that on the phone the other day. You are rocking these shakers my friend. My order keeps growing thanks to your beautiful creations, I've now added the sequins to my order! Thanks for taking the time to post, I appreciate your talents and hard work! 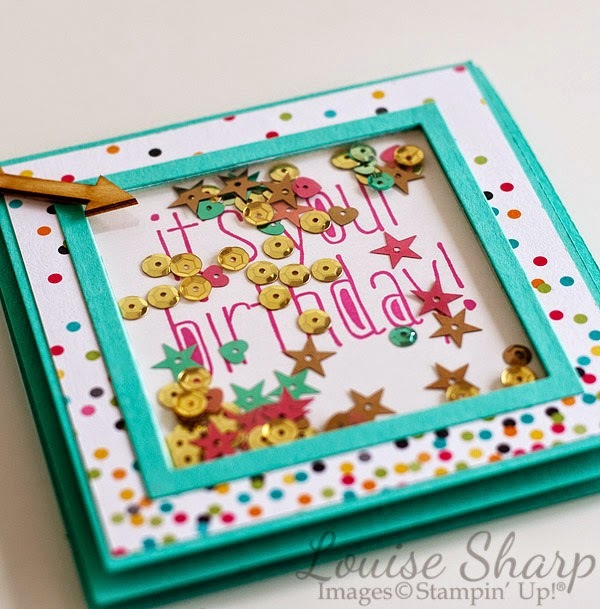 Love, love, love this shaker card Louise - so pretty and so sparkly!